Edward VII reigned from 1901 & 1910 after the Death of his Mother, Queen Victoria. Edward VII reigned from 1901 & 1910 after the Death of his Mother, Queen Victoria. Before coming King his previous titles included the Duke of Cornwall (Prince Charles hold this title today), Duke of Rothesay, Prince of Saxe-Coburg and Prince of Wales. He was the first British Monarch of the House of Saxe-Coburg and Gotha. This was later renamed in 1910 by George V to the House of Windsor. 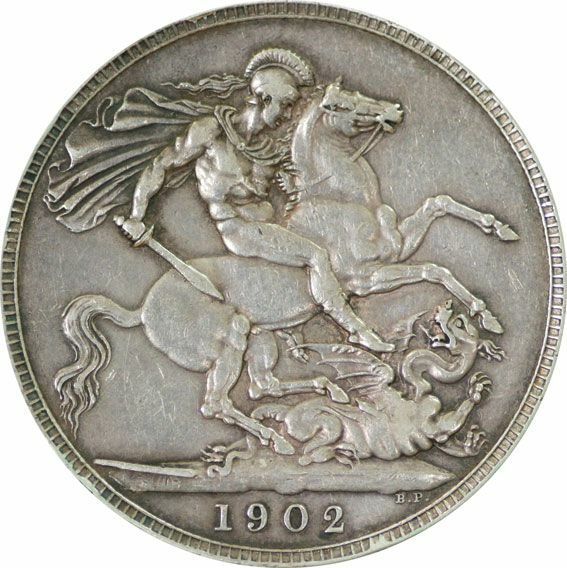 The Edwardian era saw the rise of socialism and changes to technology and society.Victoriaâs son the Prince of Wales was subject to many scandals and rumours, he also spent a great deal of time waiting to be King. His reign was one of the shortest this century, it was also known as the reign of elegance. 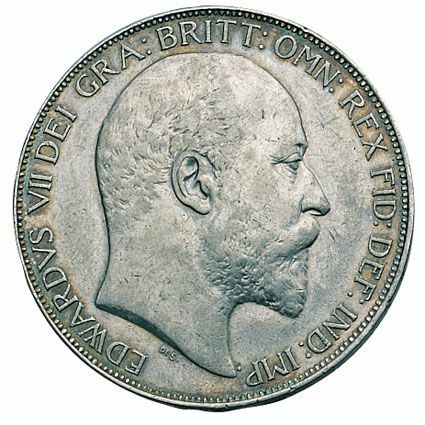 Only one crown was minted during the reign of Edward VII, in very fine condition.